Any place where a earth pony has touched the ground. Any spot where a unicorn has used magic. Wherever a pegasus has flown through the air. 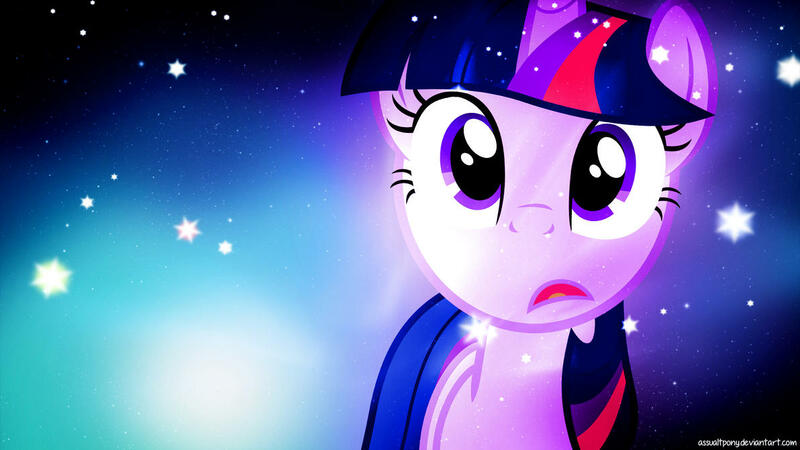 With the help of a newly discovered particle that reveals how magic affects the physical world, Twilight can track the actions of all kinds of ponies. However, an unprecedented wave of crime is starting to sweep across Equestria, and a common link between many of the cases indicates the existence of a dangerous new foe. Someone who can perform impossible feats without using magic at all. Can Twilight's cutting edge science compete against a criminal mastermind who seems to have no limits? When a plan a millennium years in the making begins to unfold, Night Mist is threatened with the prospect of losing everything he's ever had. But if he accepts a deal from a pegasus he met long ago in a place he'd rather forget, he'll gain a higher place in a new world order. All he has to do is betray his entire country. After defeating the evil unicorn Sparklelord by tossing him through a portal, Dr. McNinja enters the rift in time and space himself in hopes of finding another unicorn to be his new motorcycle. However, instead of going to Radical Land like he hoped, everyone's favorite ninja doctor ends up in a small little country known as Equestria. Unfortunately, Sparklelord is in Equestria as well, with intentions to wipe it and its inhabitants off the map. It’s up to Dr. McNinja, his sidekick Gordito, and the Elements of Harmony to save the day. When griffons digging for coal in Avia make an unusual discovery, a royal wizard from Equestria is sent in to investigate.